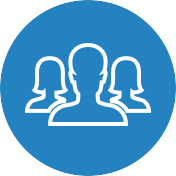 The labrum tear is one of the most common shoulder injuries among active people. This painful injury can be caused by a sudden lift of too much weight, a direct blow to the shoulder, a direct fall on an outstretched arm, and a forceful overhead arm motion. Regardless of the cause, the Labrum tear can cause severe pain, a sense of instability in the shoulder, loss of strength, limited range of motions, locking and popping sound in the shoulder, and many sleepless nights due to the overall shoulder discomfort caused by the condition. Scott Fodor had been experiencing problems with his shoulder for a while prior to visiting Manhattan Orthopedic Care. 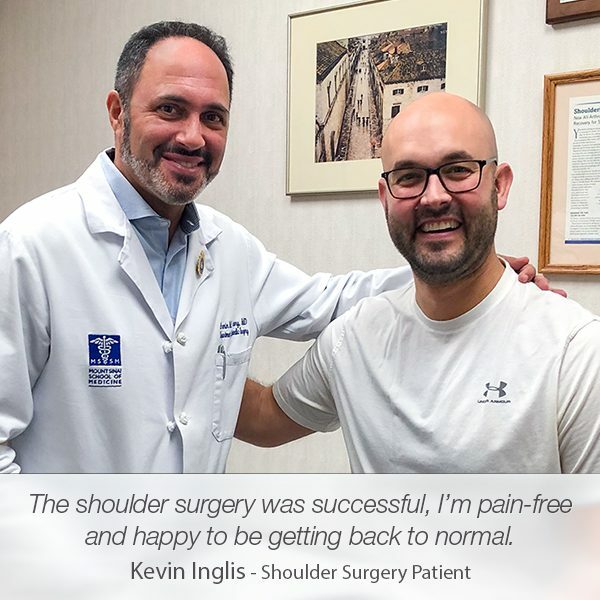 However, shortly after his appointment with Dr. Armin Tehrany, one of the top New York shoulder surgeons, Scott knew that the shoulder agony days would soon be over. 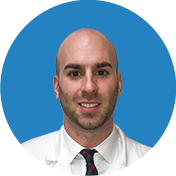 As an experienced and knowledgeable orthopedic doctor, Dr. Tehrany recognized the labrum tear shortly after he began the examination. 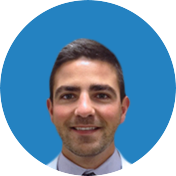 As a result of the tear severity, Dr. Tehrany recommended proceeding with an arthroscopic labrum tear repair. 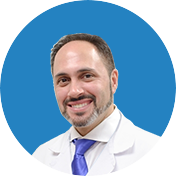 During his discussion with Scott, Dr. Tehrany calmly explained the steps of the surgery and the phases of the recovery period. 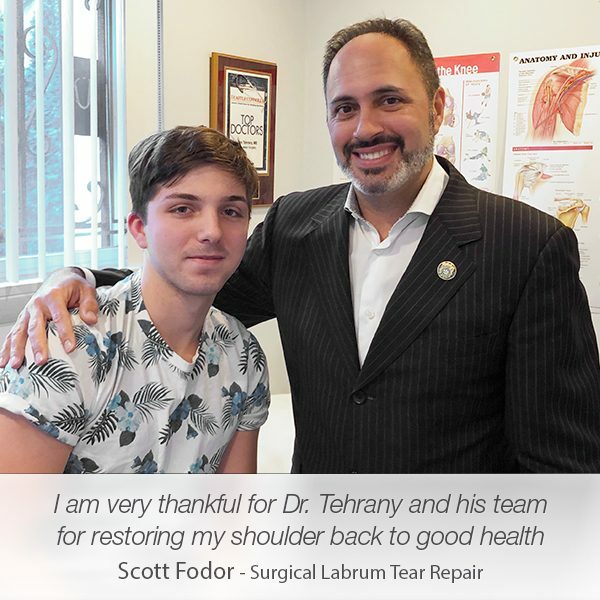 His friendly demeanor and utmost professionalism made Scott absolutely comfortable in Dr. Tehrany’s recommendation for shoulder surgery. 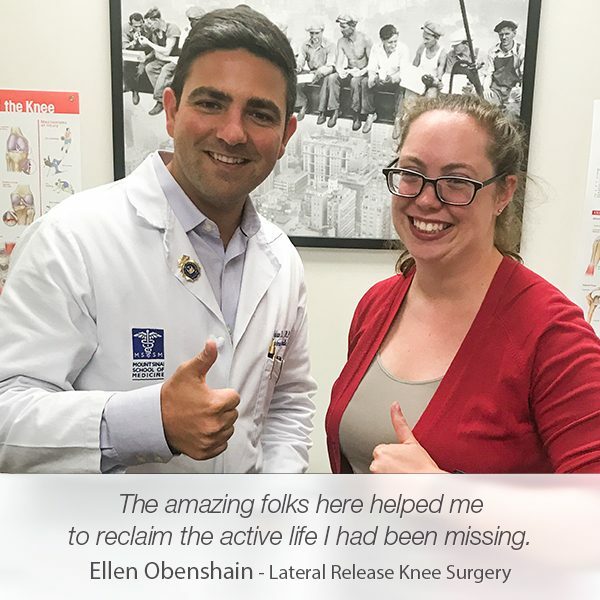 Six weeks after the surgery, Scott visited Manhattan Orthopedic Care for a follow-up. This time, Scott was thrilled that he went back to his normal everyday activities. 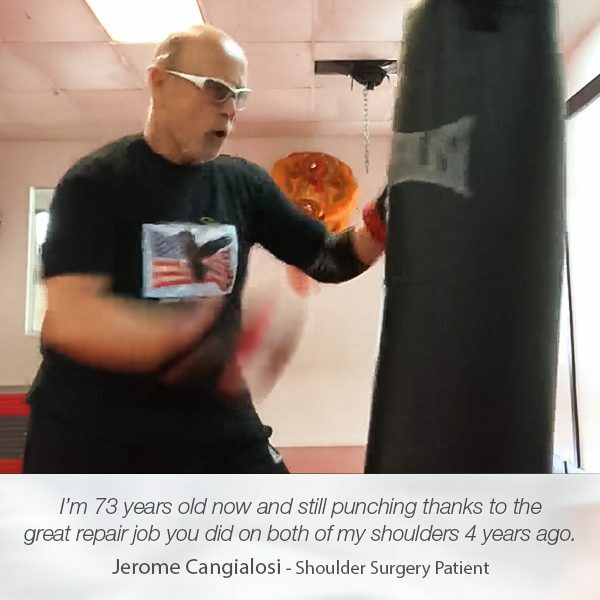 Moreover, he was eager to share a video story about his shoulder injury and his experience with Dr. Tehrany and the entire Manhattan Orthopedic Care team.